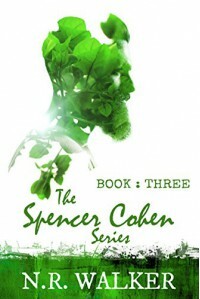 Spencer Cohen Book 3 by NR Walker begins a few months after book two ends. With Andrew in his life, Spencer is happier than he's ever been. They want to take it slow; both don't want to crash and burn because they didn't take the time to get to know each other. But they are having a difficult time doing so. What they have is so remarkable that it takes on a life of its own. 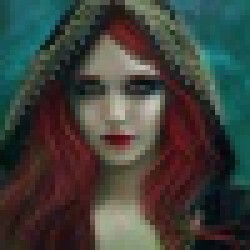 Yet both of them, particularly Spencer, have reservations about the possibility of something so real and so good coming into their lives. In some ways, he is waiting for the other boot to drop and the pain of rejection to begin. When Spencer gets a call from his estranged brother, Lewis, in Australia, Andrew doesn't let his insecurities separate them; he digs himself even deeper into Spencer's heart and reaffirming his feelings. Andrew tells Spencer that he's not going anywhere, except to Australia. Andrew is determined to prove how much he loves Spencer by accompanying him in what is, almost assuredly, a major shift in his life. As much as Spencer tries to reassure his friends, who all adore him, that he will return, they are frightened that he won't. When they discover that Andrew is going with him, they are greatly relieved. Not only will Andrew be there to take care of Spencer and give him badly needed support, but it tremendously increases the odds that he will return. When Spencer and Andrew's plane lands in Sydney, they are exhausted, suffering from major jet lag. Spencer is both anxious about meeting his brother as much as he is anticipating it; after all, it's been ten years since he's seen him. Spencer knows that his brother has said that he wants to reconcile, but, after all these years, he's not entirely sure he believes him. What if it is just a ploy to get him back to Australia, only to be devastated all over again? Whatever happens, having Andrew by his side means he will be there to pick up the pieces and help him heal and that means the world to Spencer.